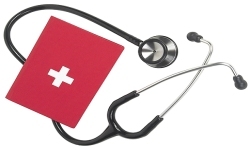 Does New Jersey DWI Impact Nursing License? You are here: Home / Your Future / Does New Jersey DWI Impact Nursing License? When a person is arrested for driving while intoxicated in New Jersey, there are many issues that will go through this or her mind. First and foremost, there will be the fear of a conviction and the amount of money it will cost as well as the possibility of jail time. To be certain, a DWI carries with it significant consequences if there is a conviction. There will be a driver’s license suspension, surcharges, fines and possible jail time. Depending on the amount of alcohol in the driver’s system, the penalties can become extremely harsh. After the legal penalties for the traffic offense of DWI, the issues don’t automatically end. For example, there are certain kinds of employment for which a DWI conviction could be exclusionary. This is why it’s even more important to formulate a sound DWI defense to try and have the charges dismissed or gain an acquittal at trial. A law enforcement officer is not allowed to make a traffic stop without just cause. This means that there must be a valid reason to make the stop. This can be a traffic violation, the driver going too slow, making dangerous moves or weaving in and out of traffic. When the officer speaks to the driver, telltale signs of intoxication such as slurred speech, glassy eyes or the smell of alcohol will be watched for. After that, field sobriety tests such as the Walk and Turn test and the One-Leg Stand test will be given. Then there will be the breathalyzer test to determine the driver’s blood alcohol content. For a breath test, the officer is required to watch the driver for 20 uninterrupted minutes to ensure that nothing is done to compromise the accuracy of the test. This can include chewing gum, smoking a cigarette or regurgitation. The BAC to justify an arrest is 0.08% or higher for a driver age 21 or over. For a driver under the age of 21, it’s 0.01%. For a commercial driver, it’s 0.04%. If the driver surpasses these levels, an arrest will be made. A driver who is convicted for DWI with a BAC of 0.08% and below 0.10% will be subject to a driver’s license suspension for three months. There will be a fine of between $250 and $400. A surcharge of $1,000 per year for three years will be assessed. $230 will be paid to the Intoxicated Driver Resource Center (IDRC). $100 each will go to the Alcohol Education and Rehabilitation Fund (AERF) and the drunk driving fund. $75 will go to the Neighborhood Services Fund. There could be up to 30 days in jail. With higher BAC levels, the penalties grow worse. If there is an accident with injuries, the penalties can be upgraded from a traffic offense to a criminal offense. One of the ancillary problems that a person who has been convicted of a DWI is trouble with gaining employment and various licenses to do the jobs in their chosen profession due to that conviction. Nursing is one of those professions. While it’s known that when filling out an application for almost any job, there will be a question as to whether the applicant has been convicted of a crime. Since DWI is not a criminal offense, then it does not have to be disclosed under these circumstances. However, when filling out a form to be a nurse, there will be a requirement to disclose having been convicted of a DWI. School nurses should also read about how DWI impacts school employment. If a nurse has been convicted of DWI, it is possible that the New Jersey Board of Nursing will investigate and take disciplinary action. This can include admonishment, suspension of the nursing license and even revocation. While it is not a criminal act to drive drunk in New Jersey, it is still treated very seriously. With the ramifications that it can have to one’s driver’s license, wallet, freedom and career, it is imperative to formulate a strong defense to try and find a way to have the charges reduced, dismissed or win an acquittal at trial. If, for example, the officer made the stop without just cause, didn’t adhere to the 20 minute rule, administered field sobriety tests unfairly, was not certified to give the breath test or the breathalyzer machine was not properly calibrated, these issues could lead to the charges being dropped. For a nurse who is concerned about losing his or her license or not being allowed to receive the license, it’s key to know these rules and try to avoid a conviction. Hopefully you are cleared of all charges and can fully enjoy your future driving. If you have been convicted of DWI in New Jersey there are many different ways a conviction can impact your job and keep costing you money for years to come. 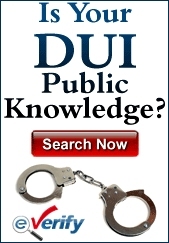 Find out more about the how to move past DWI convictions in NJ without wasting money and time.